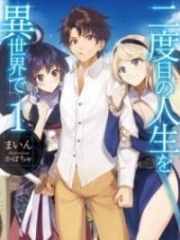 You’re reading novel Chaotic Sword God Chapter 382 - Summoning of the Ape King online at LightNovelFree.com. Please use the follow button to get notification about the latest chapter next time when you visit LightNovelFree.com. Use F11 button to read novel in full-screen(PC only). Drop by anytime you want to read free – fast – latest novel. It’s great if you could leave a comment, share your opinion about the new chapters, new novel with others on the internet. We’ll do our best to bring you the finest, latest novel everyday. Enjoy! Wielding the Origin energy of the azure and violet Sword Spirits, even the Cla.s.s 6 Spirit Apes were able to feel Jian Chen’s might. Instead of running away, they continued to inch closer toward him with equally serious expressions. With their fists flying through the air, the s.p.a.ce around them began to distort from the energy. By now, both of Jian Chen’s eyes were completely lit with two different colors. The left eye was violet and the other azure; a sight like this was especially frightening and made him seem like a demon in disguise. The Origin energy was like a beam of light in Jian Chen’s hand that continued to expel a sharp amount of Sword Qi into the sky around it. In moments, it was almost as if the entire area was fully consumed by it. Following an azure and violet swish of light, the Origin energy from the Sword Spirits painted the entire area a splendid light as it stabbed at the Spirit Apes. Five separate cracks could be heard as the energy surrounding the five Spirit Apes’ fists all shattered. Following a cleaving light from the Sword Spirits, a wound could be seen on each of the fists. The cut was so severe that it went straight past the bone and felt as if it had nearly cut their hand in two. “Zhizhi!” The intense pain caused each of the apes to shriek before gnas.h.i.+ng their teeth together as they looked at their nearly bisected hands. Instead of being afraid however, their innate berserk nature began to swell out of them, causing the fierce glint in their eyes to multiply as they glared dangerously at Jian Chen. “Zhizhizhizhizhi!” One of the Spirit Apes began to cry out loud in the language known only to Spirit Apes as a way to communicate. After hearing the first Spirit Ape, the other four apes looked as if they were hesitating. However, they gnawed at their teeth and surrounded the first ape. With their swaying bodies, energy began to pour out before shooting straight to the first ape. Jian Chen continued to watch this strange sight with a confused look. The five Spirit Apes had some sort of strange technique where four Spirit Apes could convene their energy to the one in the middle! If this went on, then the Spirit Ape standing in the middle would have the strength of five Cla.s.s 6 Spirit Apes. With such a strong concentration of power like that, just how strong would the middle on become? A flash of murderous intent could be seen in Jian Chen’s mind. There was no way he could allow for the Spirit Apes to continue with this activity. In the case that whatever they were doing was finished, he would be up against an extremely terrifying opponent that would definitely prove troublesome. Just as Jian Chen was about to attack the Spirit Apes to prevent anything from happening, an elderly voice suddenly called out from nowhere. “Halt, just what sort of reception is this to a guest? Wise Spirit, Abundant Spirit, Golden Spirit, Kind Spirit, Clean Spirit, hurry up and receive the guest properly, do not idle about!” This elderly voice contained awe-inspiring power in his voice. At the same time, it was impossible for Jian Chen to pinpoint where this voice was coming from. Although the sudden voice had thrown off Jian Chen’s plan to attack the Spirit Apes, Jian Chen was still looking around him seriously. It was finally after seeing nothing unusual that he began to use his omnipresence to look around the area. But when Jian Chen’s omnipresence reached one of the mountain peaks, a transparent barrier blocked its path, rendering him unable to sense what was past it. Jian Chen blanched as the thought of retreating came into his mind. In order to be able to put up a barrier like this, one would need to be able to comprehend the profound mysteries of the world, meaning a Saint Ruler or higher. For this unknown ent.i.ty to be able to put up a barrier and make his voice unable to be pinpointed, this ent.i.ty would most likely have to be no weaker than a Saint Ruler. Although the Origin energy from the Sword Spirits was strong enough to deal with Cla.s.s 6 Magical Beasts or Heaven Saint Masters, it was completely useless against a Saint Ruler. When the elderly voice had rang out, the five Spirit Apes had stopped their movements. However, they continued to glare at Jian Chen angrily as if he was their most hated enemy. There was a conflicted look on Jian Chen’s face. He didn’t know whether or not he should stay or run, but if a Saint Ruler had really wanted to be his opponent, running would be useless. The only comforting thought was that there was no hostility in the elder’s voice, so Jian Chen could let out a sigh of relief. “Wise Spirit, Abundant Spirit, Golden Spirit, Kind Spirit, Clean Spirit, hurry up and receive the guest, do not idle about.” The elderly voice could be heard once more without any more hints on where it was coming from. “Zhizhi!” The five Spirit Apes responded to the call with a respectful bow toward one of the mountain peaks. Then, with a mutual glance to each other, they beckoned Jian Chen unwillingly. Jian Chen didn’t say a word and instead gave a small smile before flying toward the highest mountain peak with the b.l.o.o.d.y Spirit Apes following from behind. Each were still biting their teeth as if they hadn’t forgotten about their animosity with Jian Chen. Not too long later, Jian Chen arrived at the tallest mountain peak. On this peak, there was a single barrier that seemed to cover the entire mountain peak. Suddenly, a small crack appeared within the barrier without a sound. It continued to expand before finally growing to a size large enough for a human to enter. “Human, enter. I wish to speak to you!” The voice spoke once more. But this time, Jian Chen could hear it coming from the mountain peak. Jian Chen hesitated for a moment, but he continued to fly inside. The Spirit Apes followed close behind and continued to bow toward the mountain peak respectfully. Quickly spotting a gigantic cave in the mountain peak, Jian Chen could see several words written in human language over the cave, “Cave of the Ape King”. Along with the Spirit Apes, Jian Chen entered the cave. The cave of the Ape King was well lit so not a single area of the cave was left untouched. The pa.s.sageway through the cave was so extensive that Jian Chen had walked for a hundred meters through the wide areas before finally coming to the belly of the mountain. There were plenty of curious plants that had sweet fragrances. These fragrances had a miraculous effect that made anyone feel happy as well as removing any feelings of anger. Aside from the strange plants in the cave, there was a simple arrangement of furniture. Only a jade table and bed could be seen. From the l.u.s.ter of both, it wasn’t hard to see that both items were very expensive. On the jade bed, a grizzly haired elderly man sat cross-legged with plenty of wrinkles on his face so that it was hard to distinguish his facial characteristics. By his side, there was a single white, winged tiger cub sleeping peacefully. Compared to the white tiger days ago, the white tiger cub was much larger than before and now measured nearly a meter long. Upon seeing the white tiger cub, Jian Chen had a look of utter surprise on his face. When he realized just what place he was in, a feeling of pressure could be felt once more. The five Spirit Apes quickly came to the elderly man’s side and knelt down respectfully before speaking in gibberish that Jian Chen a.s.sumed to be monkey speak. “Zhizhizhizhi!” The Spirit Apes immediately cried out in dissatisfaction as if trying to justify themselves. “Not all humans are our enemies. This one in front of us is a guest of the Spirit Apes. Hurry up and apologize.” The elder stressed with a tone of finality. The five Spirit Apes hung their heads in dejected defeat before crying out to Jian Chen unwillingly. At the same time, they bowed their bodies as form of apology to him. “You five may go.” The elder spoke to the Spirit Apes. The five Spirit Apes bowed toward the elder once more before shooting a quick indignant glares at Jian Chen as they left the cave. “I give my thanks, Ape King!” Jian Chen cupped his hands before sitting opposite of him. 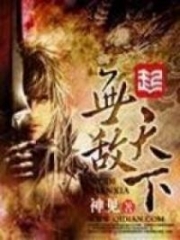 You're reading novel Chaotic Sword God Chapter 382 - Summoning of the Ape King online at LightNovelFree.com. You can use the follow function to bookmark your favorite novel ( Only for registered users ). If you find any errors ( broken links, can't load photos, etc.. ), Please let us know so we can fix it as soon as possible. And when you start a conversation or debate about a certain topic with other people, please do not offend them just because you don't like their opinions. You're reading Chaotic Sword God Chapter 382 - Summoning of the Ape King. This novel has been translated by Updating. 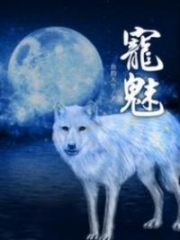 Author: Xin Xing Xiao Yao already has 11799 views. Current Time is Apr-20-2019 22:23:21 PM.